Our full-height modular wall product — Symbio® Movable Walls — is available on the GSA Schedule on Contract #GS28F0027Y. 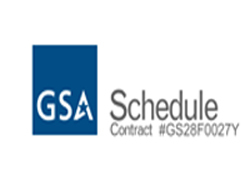 Our labor & installation is also available on Contract #GS28F0026Y. Our full-height modular wall product — Symbio® Movable Walls — is available on the Texas Multiple Award Schedule (TXMAS) Contract.